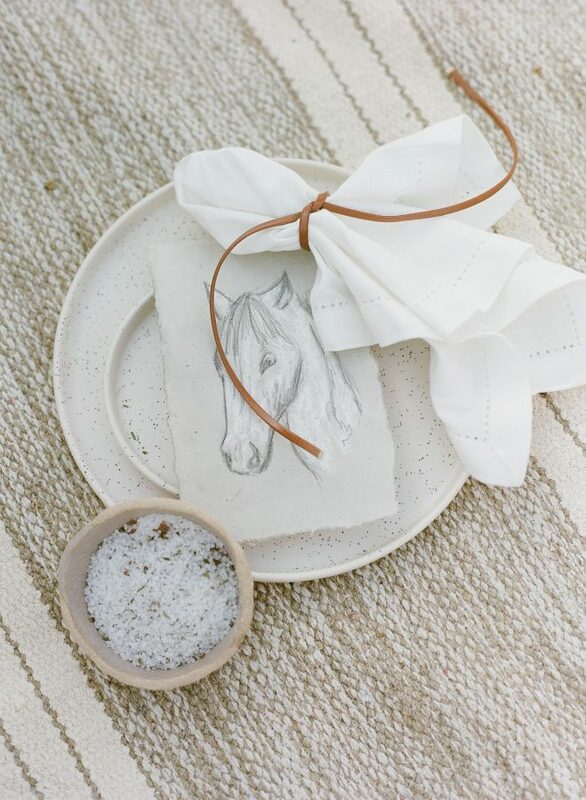 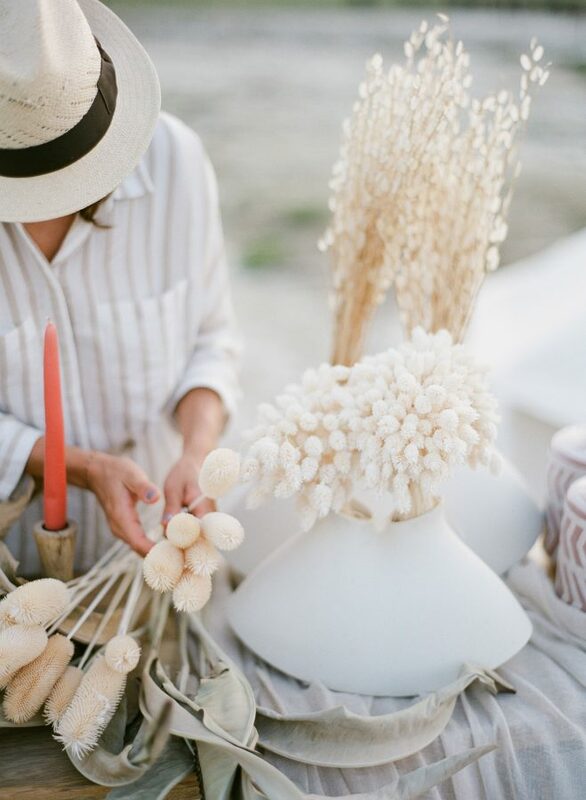 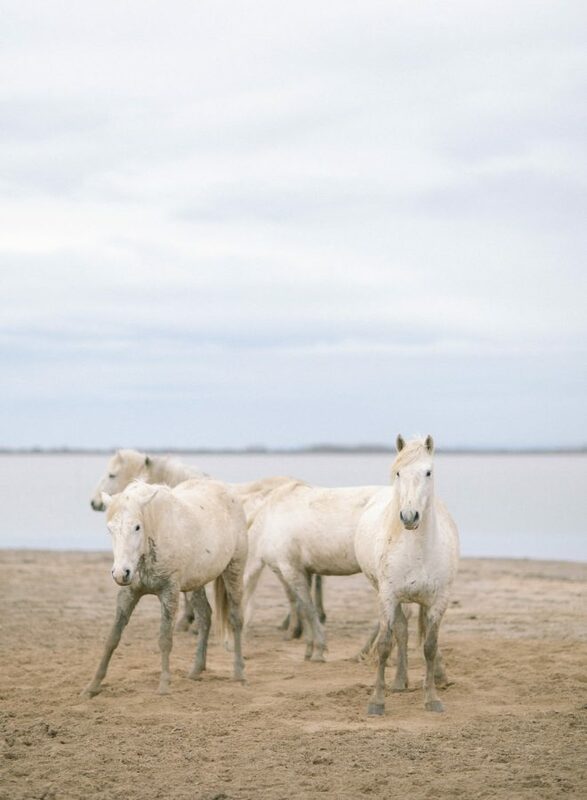 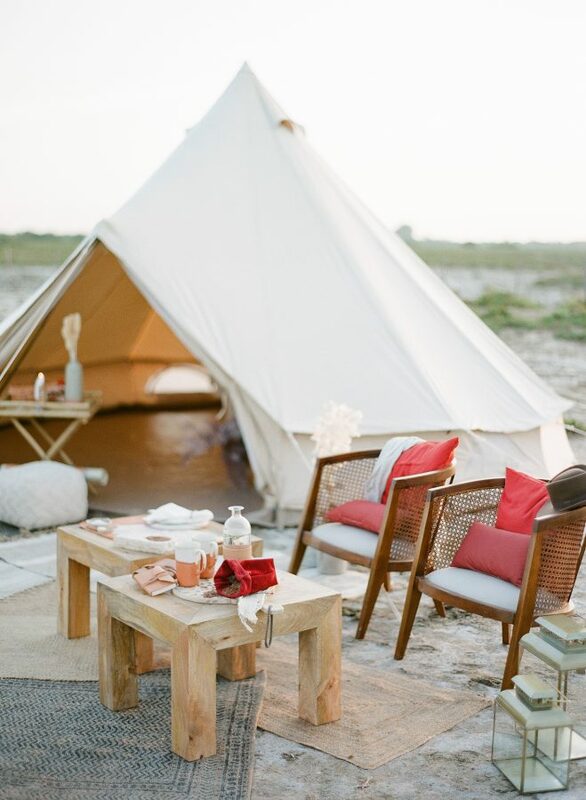 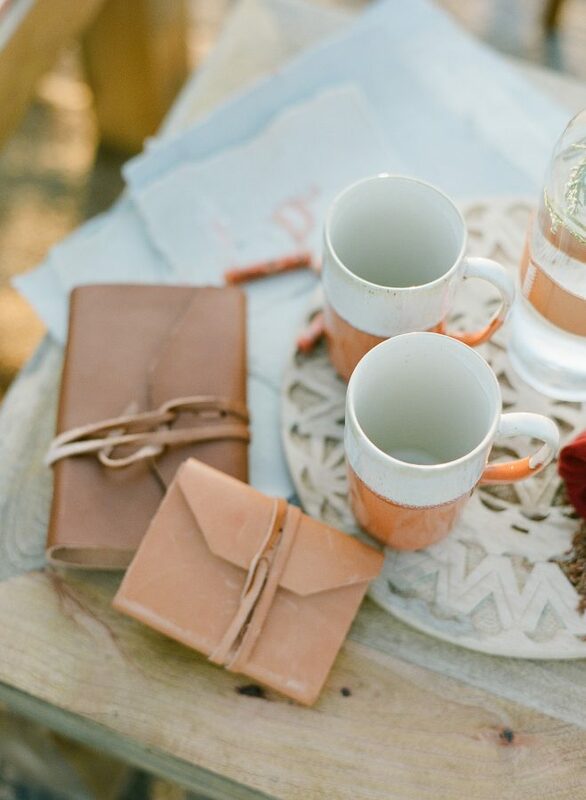 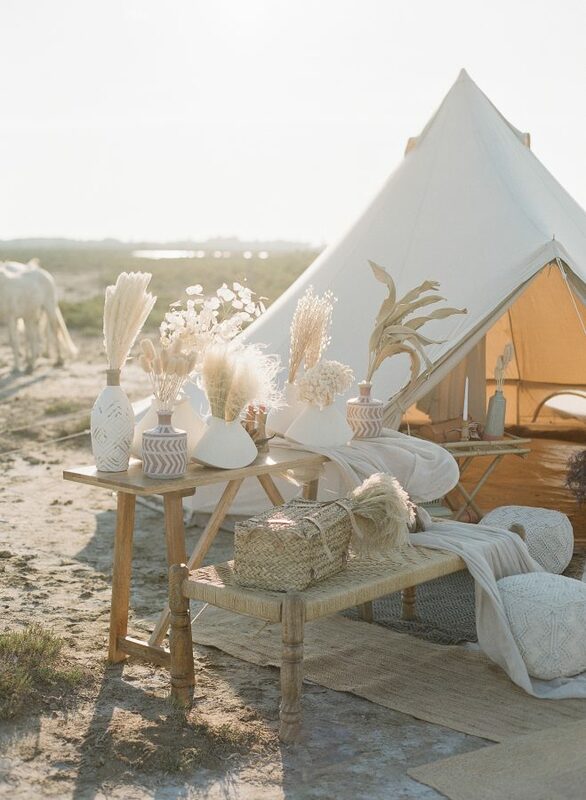 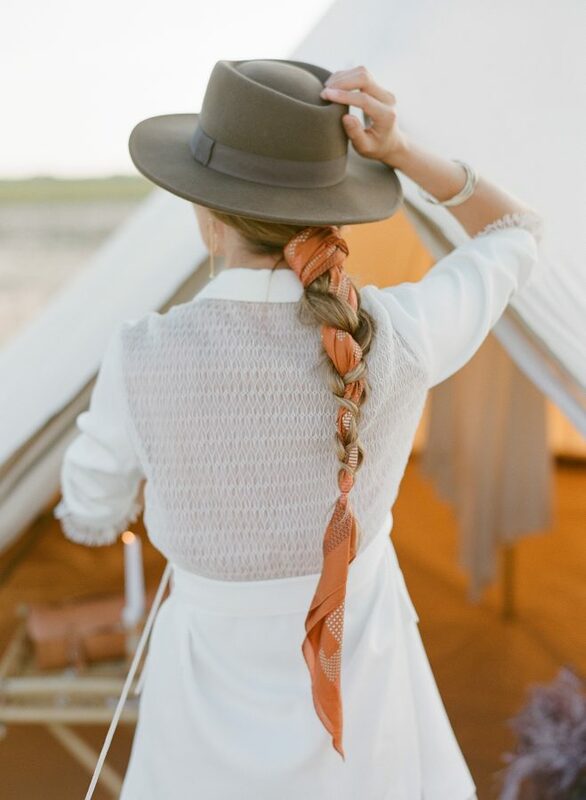 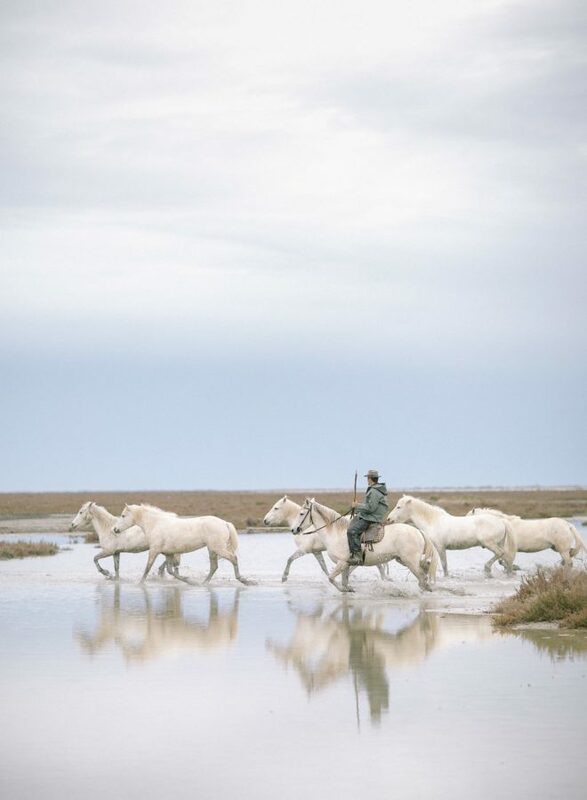 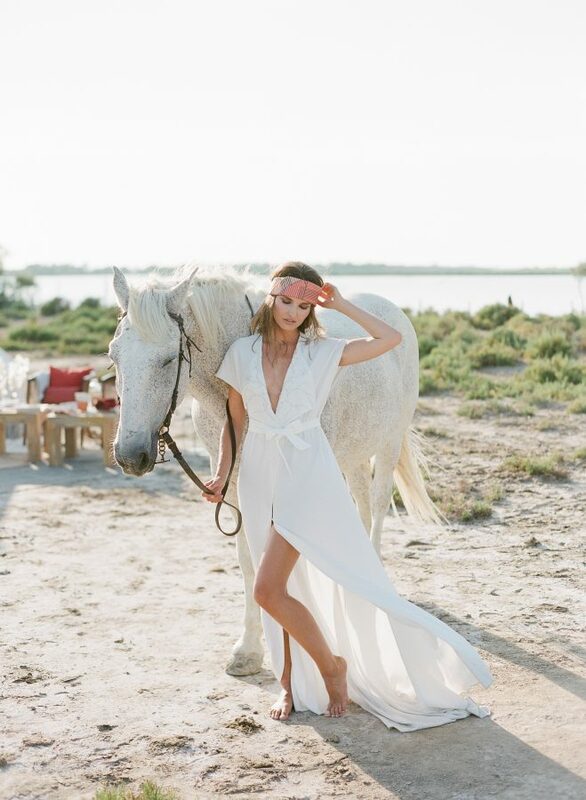 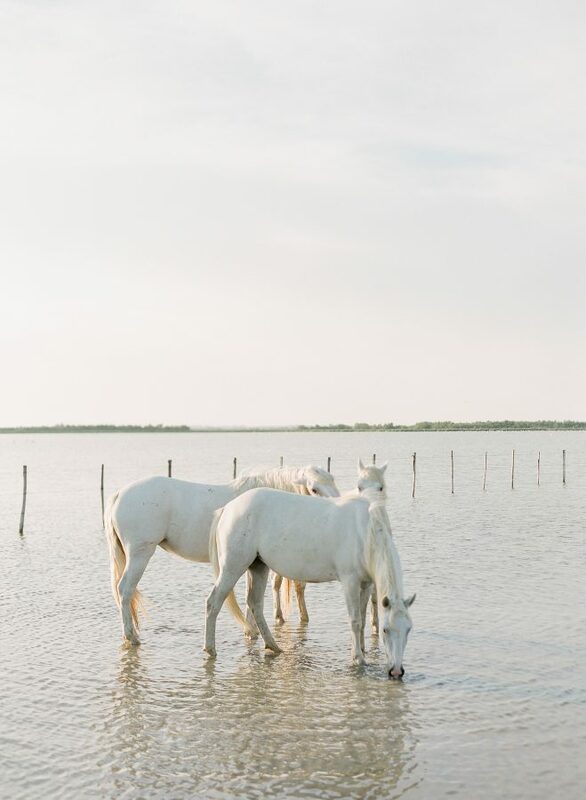 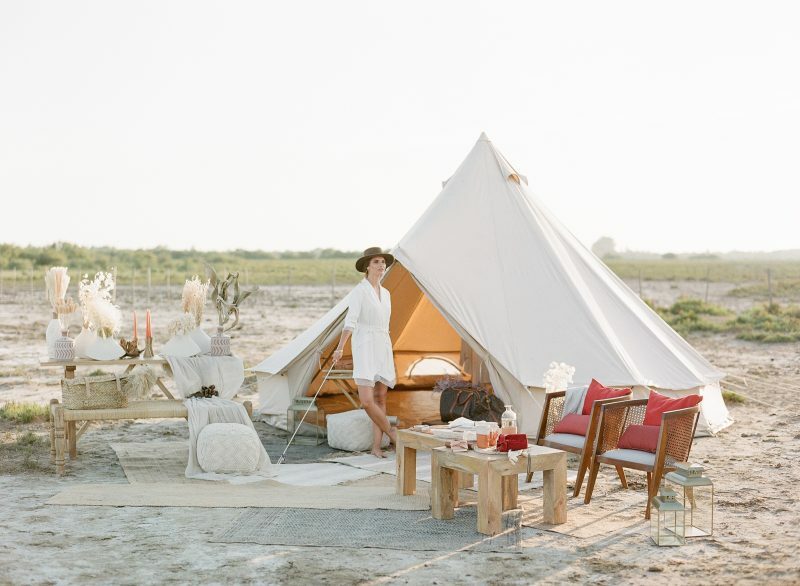 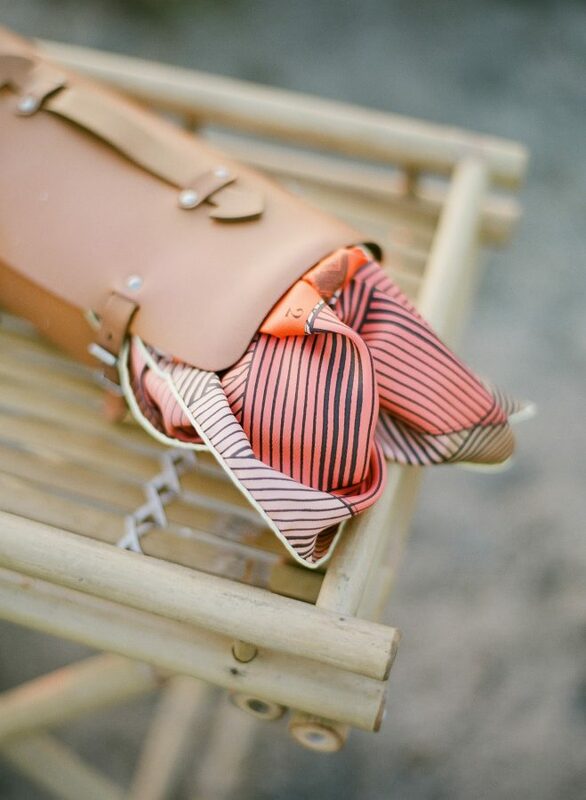 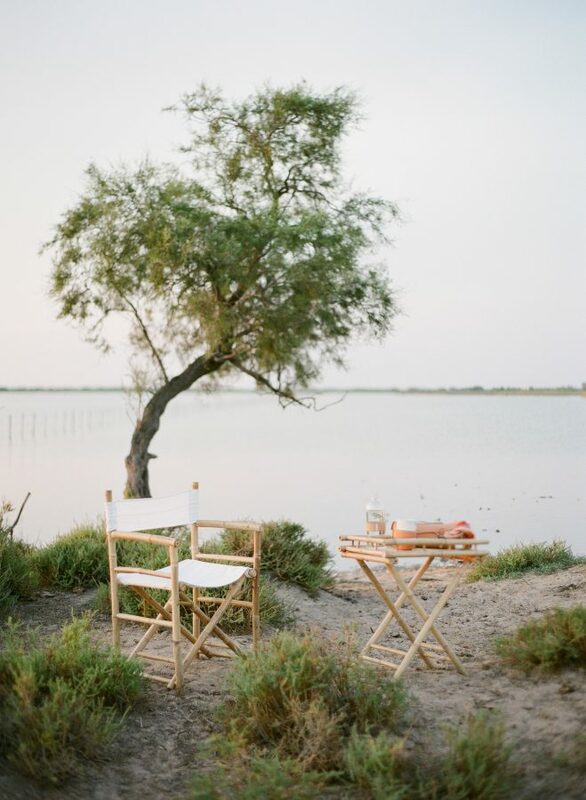 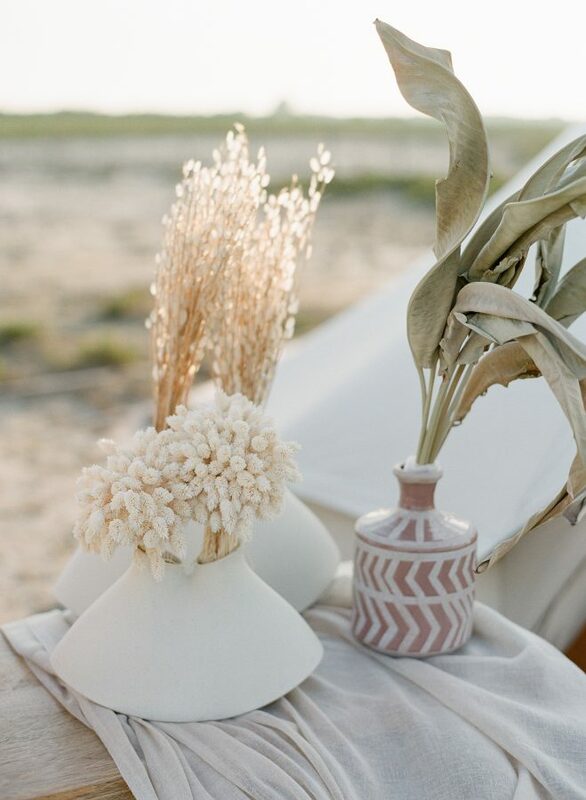 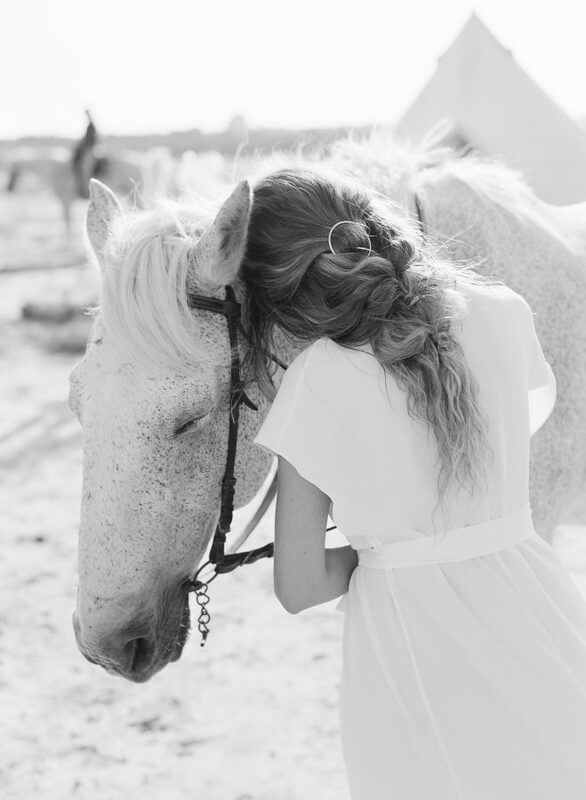 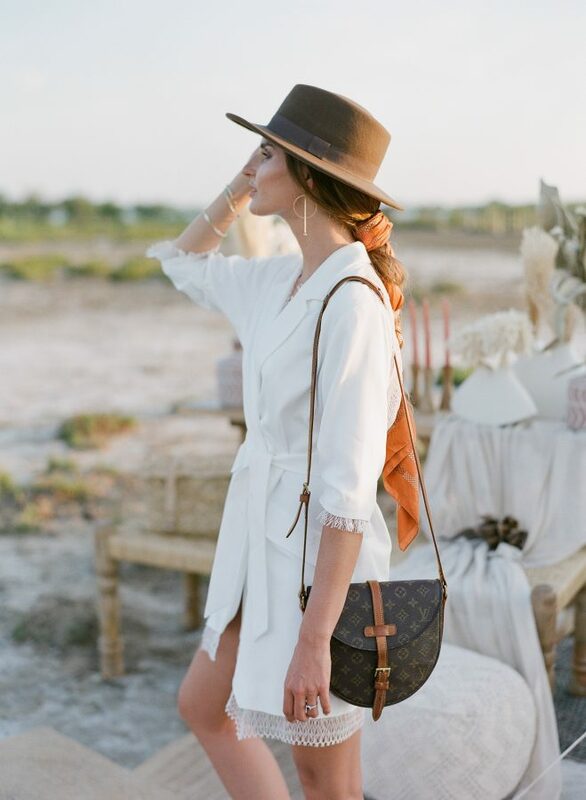 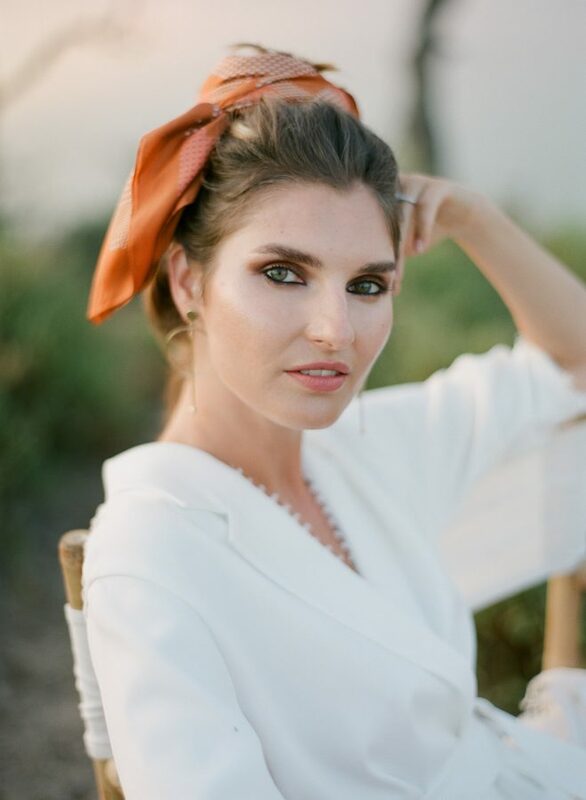 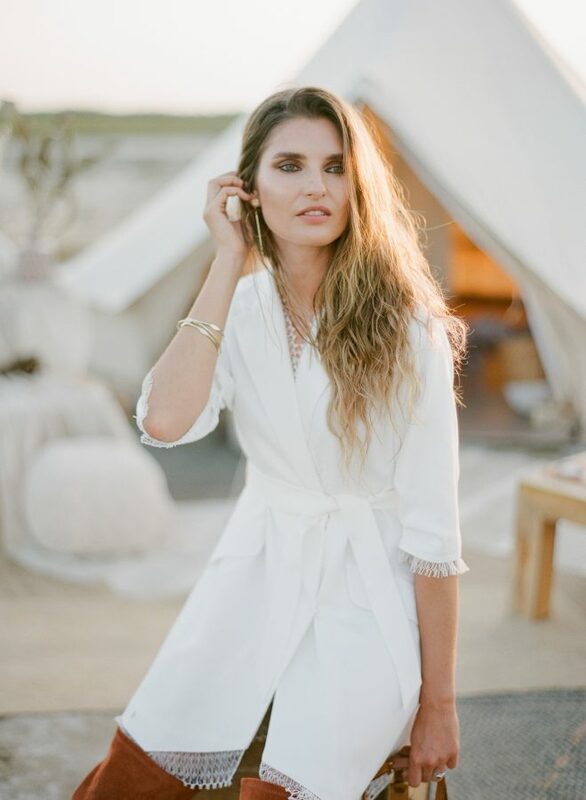 The Camargue national park was the muse for this honeymoon inspiration shoot. 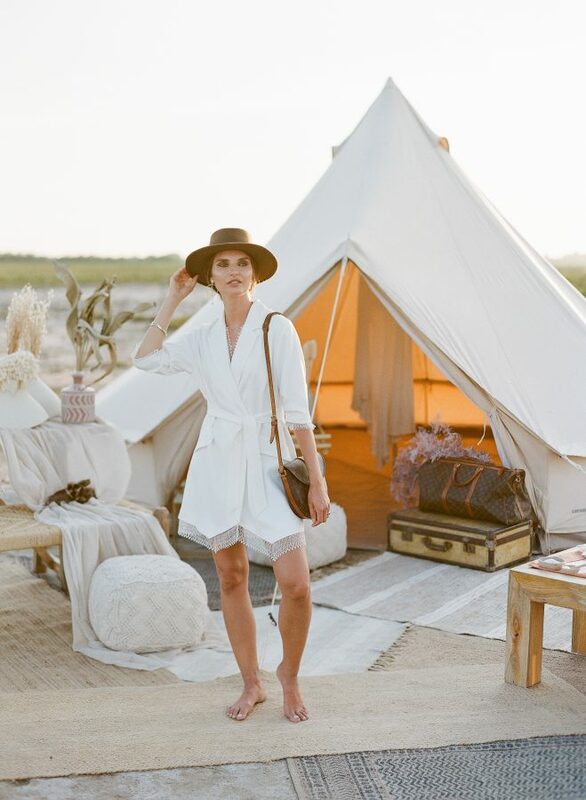 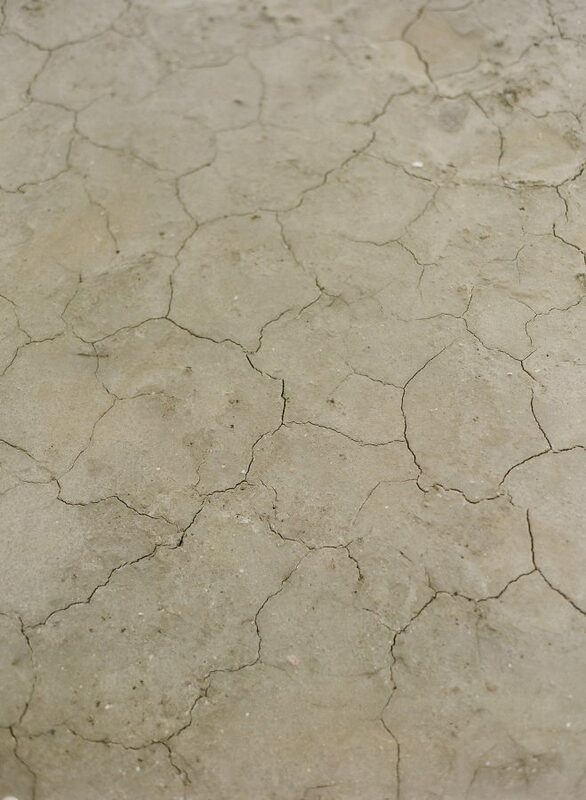 The free-spirited travelista is at one with her surroundings; she is understated and chic, yet wild and daring. 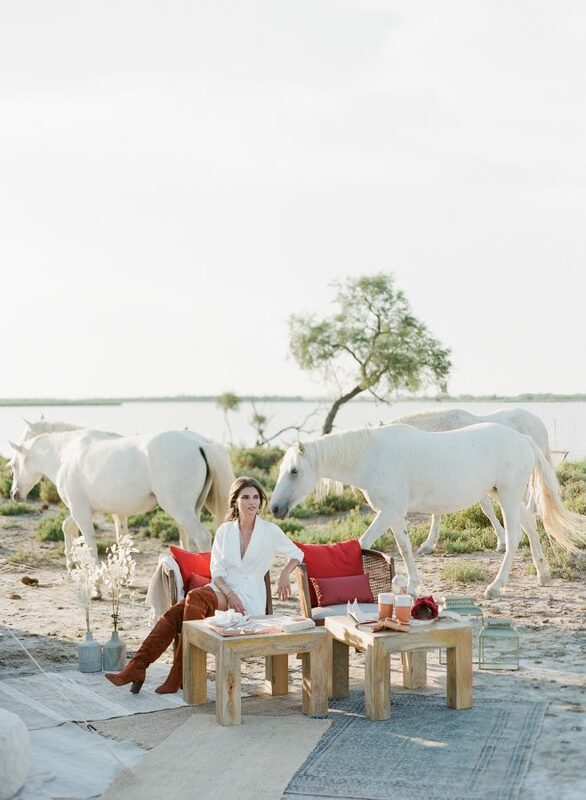 She is as comfortable in the rugged outdoors as she is in the confines of a luxury establishment, she is true to herself no matter where life takes her.